Printing is such an important part of doing business. Especially when creating your invoices. Since the Profit Pal App allows you to create invoices for your customers, a little information about printers is in order. Weather to give a copy to your customer or just one for yourself, I have found and tested a printer that’s easy to setup and use to print out your invoices from. 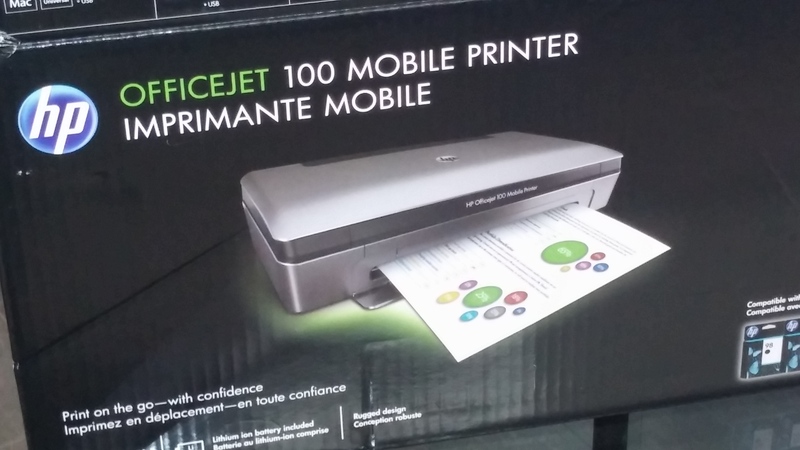 The printer I like is the HP Office jet 100 Mobile Printer. It is by far the easiest printer I found to set up. 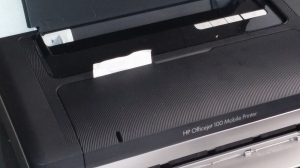 This printer also has a battery so you can print anywhere you like no 110 V outlet needed. Sorry for the other guy’s but some of them were just plain stupid. 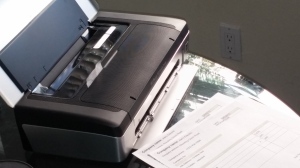 With the HP 100 no need to go online to register or anything like that, all you go online for is to download a printing app which contains the needed drivers for you to display your document and print it. Profit Pal App Tutorial Click Here! The Hp 100 was by far the easiest to set up of all the printers I tested for mobile printing. I like the fact that it has a small footprint doesn’t take up much room weather on your seat or on a rack like the one I made for it. It just sits on the rack which rest over my back seat. So all I need to do is hit print on my phone and the invoice is created right there in my truck. Hows that for convieneance? I downloaded the PrintHand App, and it works great with the printer. I am sure there are others you can use to drive the printer for your print projects. It’s just that one works fine for me. Here are some pic’s of the printer I use.